Congratulations to Dr. Mohammed Al Fayyadh, UTHSA General Surgery Resident, who has been awarded the 2018-2019 J. Bradley Aust Surgical Society Traveling Fellowship. 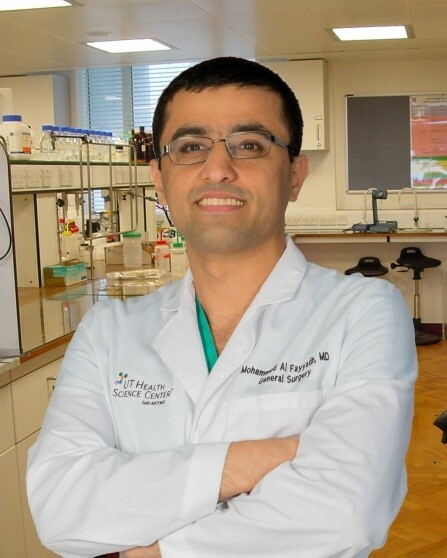 Dr. Al Fayyadh will use the award to visit the Imperial College University and its affiliated hospital, St. Mary’s, in London, England, for a Bariatric Surgical Course. Congratulations to Dr. Hallie Baer, UTHSA General Surgery Resident, who was awarded the 2017-2018 J. Bradley Aust Surgical Society Traveling Fellowship. Dr. Baer used the award to attend the ACS Residents Leading Quality course as well as the ACS Quality and Safety Conference in New York, N.Y. Interested in working abroad? The Pan-African Academy of Christian Surgeons (PAACS) has 10 residency programs across Africa. Aust Society member Deborah Eisenhut (1986) is at the Cameroon location. There are slots for 11 residents (adding three more soon). Each resident performs over 600 cases per year. There are eight operating rooms. Opportunities are available for short-term visiting faculty in all surgical specialties. Contact Deborah Eisenhut at deborah.eisenhut@sim.org Read the organization's newsletter. Congratulations to Dr. German Almonte, UTHSCSA General Surgery Resident, who has been awarded the 2017 J. Bradley Aust Surgical Society Traveling Fellowship. The award assisted Dr. Almonte during his visit to Keio University in Tokyo, Japan, to expand his knowledge and enhance his experience in the area of gastrointestinal surgery. Dr. Almonte presented his educational experience at the June 2017 annual meeting of the Aust Society. Congratulations to Dr. Juan Marcano, UTHSCSA General Surgery Resident, who has been awarded the 2016 J. Bradley Aust Surgical Society Traveling Fellowship. The award allowed Dr. Marcano to attend the IRCAD Intensive General Surgery Course in Strasbourg, France in May 2016. Arthur Storer McFee, M.D., Ph.D., renowned surgeon and educator of hundreds of surgical residents, died June 20, 2015, at the age of 83. He was a founding officer of the J. Bradley Aust Surgical Society and founding faculty member at what would become the University of Texas Health Science Center San Antonio. 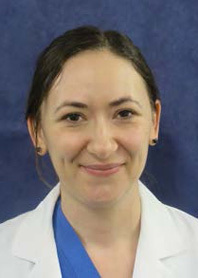 Congratulations to Dr. Carole Villamaria, UTHSCSA General Surgery Resident, who has been awarded the 2015 J. Bradley Aust Surgical Society Traveling Fellowship. The award assisted Dr. Villamaria during her visit to the Shriners Hospital for Children in Boston, Mass., where she furthered her learning about the pathophysiology on how different types of burns evolve, and as a result, the varying management and treatment options specific to each burn type. Dr. Villamaria presented her educational experience at the June 2015 annual meeting of the Aust Society. Congratulations to Dr. Guillermo Portillo-Ramila, UTHSCSA General Surgery Resident, who has been awarded the 2014 J. Bradley Aust Surgical Society Traveling Fellowship. The award will assist Dr. Portillo during his rotation at the University of Rochester New York to further his learning with one of the leading bariatric surgeons in the U.S. Dr. Portillo will present his educational experience at the June 2014 annual meeting of the Aust Society. Congratulations to Dr. Emmanuel Gabriel, UTHSCSA General Surgery Resident, who has been awarded the 2013 J. Bradley Aust Surgical Society Traveling Fellowship. The award will assist Dr. Gabriel during his rotation at MD Anderson, Department of Surgical Oncology, Breast and Melanoma Services. Dr. Gabriel will present his educational experience at the June 2013 annual meeting of the Aust Society. Congratulations to Dr. Amita Shah, UTHSCSA General Surgery Resident, who has received the 2012 J. Bradley Aust Surgical Society Traveling Fellowship. The award will assist Dr. Shah when she visits the Wake Forest Institute of Regnerative Medicine (WFIRM) in North Carolina. Dr. Shah will present her educational experience at our June 2012 annual meeting of the Aust Society. Congratulations to Dr. Pranjali Gadgil, UTHSCSA General Surgery Resident, who received the 2011 J. Bradley Aust Surgical Society Traveling Fellowship. Dr. Gadgil used the award to attend the 4th Annual School of Oncoplastic Surgery conference in Dallas, Texas, in December 2010. Congratulations to Rafael Diaz, UTHSCSA General Surgery Resident, who has received the 2010 J. Bradley Aust Surgical Society Traveling Fellowship. The award will assist Dr. Diaz when he visits the Hospital Saint-Antoine AP-HP of the University of Paris VI in Paris, France. Dr. Diaz will present his Paris educational experience at our June 2010 annual meeting of the Aust Society.